Driving in the snow is very difficult. Snow on the ground makes me spend too much time driving. Sometimes the ground is slick, so driving would be dangerous. I would rather build a snowman than drive a car! However, my recently purchased new car has 4 wheel drive, so when I drive it will be comparatively safe, and also there will be comparative peace of mind. I try to remember to bring sunglasses. The snowy ground reflects sunlight too brightly and might make things invisible. Sometimes when I drive on snowy ground, my husband makes funny faces. He will answer, “Who? Me?” Then, he will burst out laughing! When I drive, he always helps me to relax. When it comes to driving on snowy ground, I would rather laugh. ❶ It is one of the fun and curious quirks of the Chinese language that the character 花 ㄏㄨㄚ (huā) means both “flower” and “to spend” (either money or time). 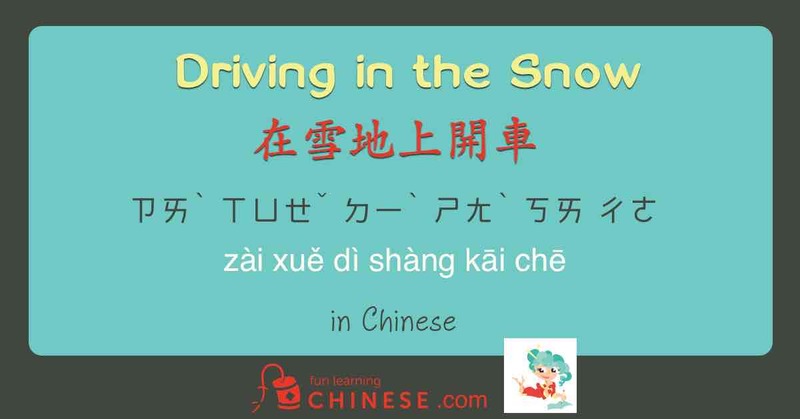 ❷ When building or making a snowman, the Chinese use the verb 堆 ㄉㄨㄟ (duī) meaning “to pile,” and NOT the ubiquitous and otherwise very useful word 做 ㄗㄨㄛˋ (zuò) meaning “to do, to make”. 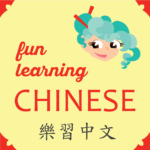 ❸ For me, the common Chinese word 記得 ㄐㄧˋ ㄉㄜ˙ (jì de. ), translated “to remember,” is a good word for helping me to understand and remember how to use the “adverbial expletive” 得 ㄉㄜ˙ (de.) which grammatically connects a verb to an adverb or adverbial phrase that further explains the verb. Even in English, we generally have to specify what is being remembered.